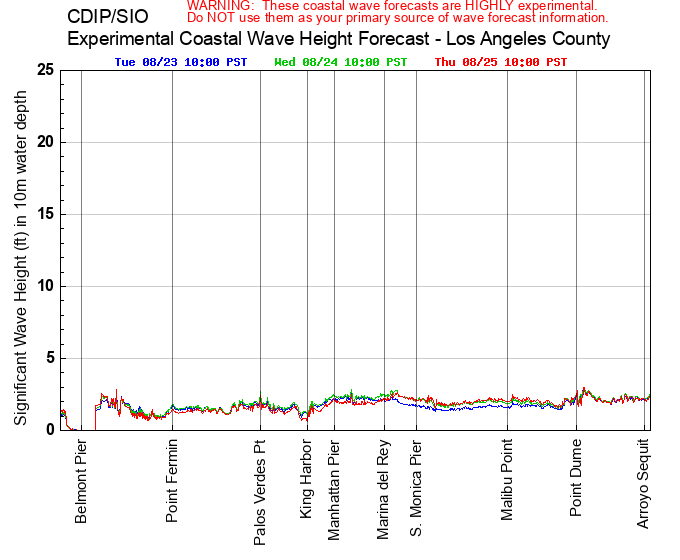 WARNING: These coastal wave forecasts are HIGHLY experimental and should NOT be relied upon as a primary source of wave forecast information. 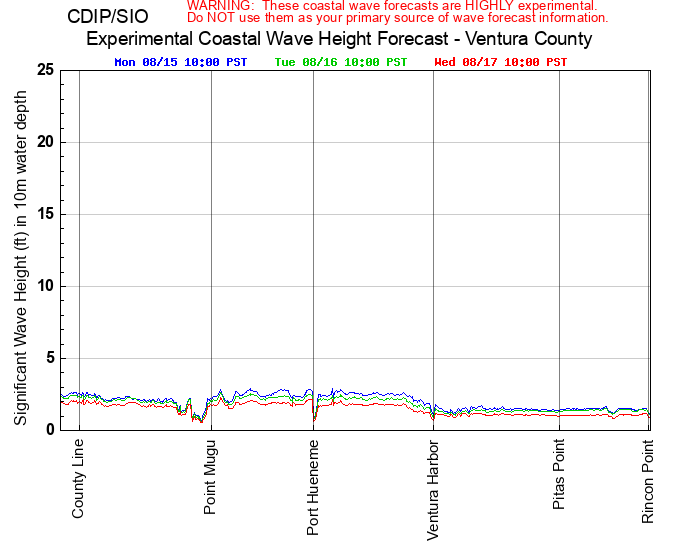 Significant errors in predicting coastal wave heights and the timing of storm events are known to occur. 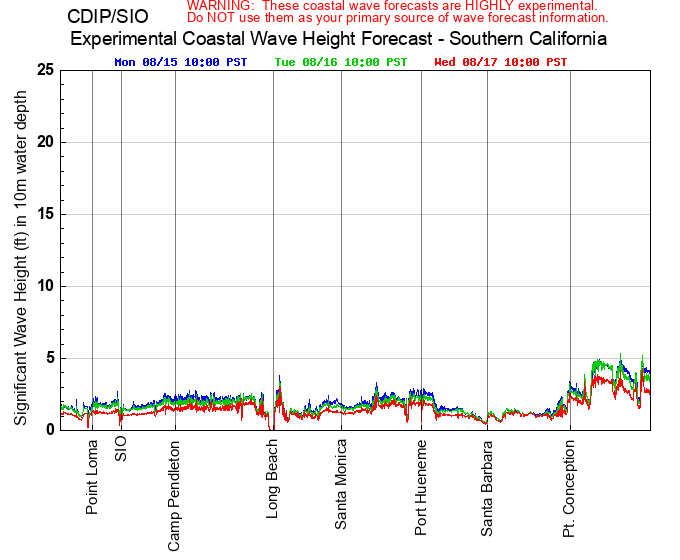 Deep water wave forecasts offshore of California are provided by the NOAA/NCEP Wavewatch III model. 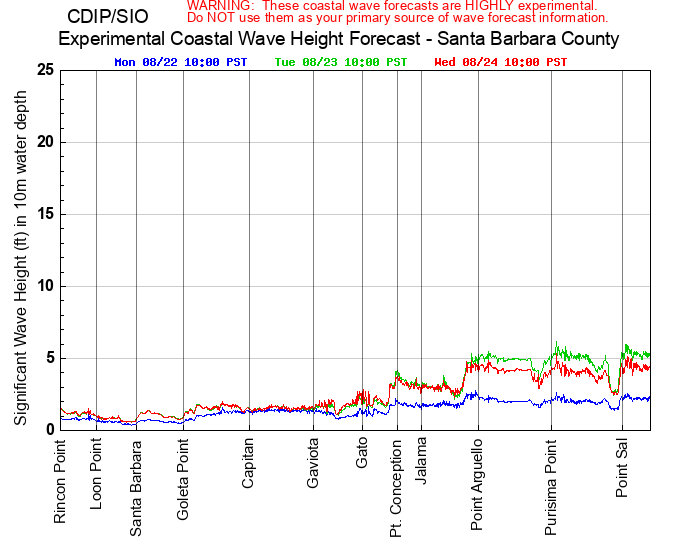 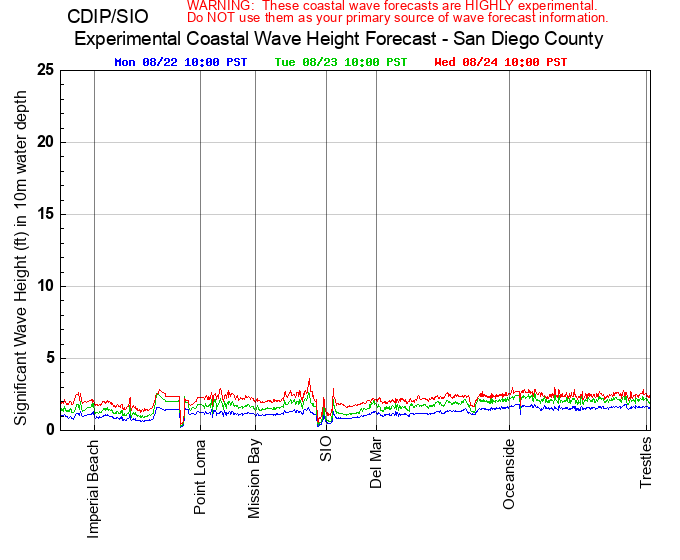 The interpretation of this deep water wave information, its application to coastal models, and the dissemination of coastal wave forecasts are provided by the Coastal Data Information Program (CDIP). 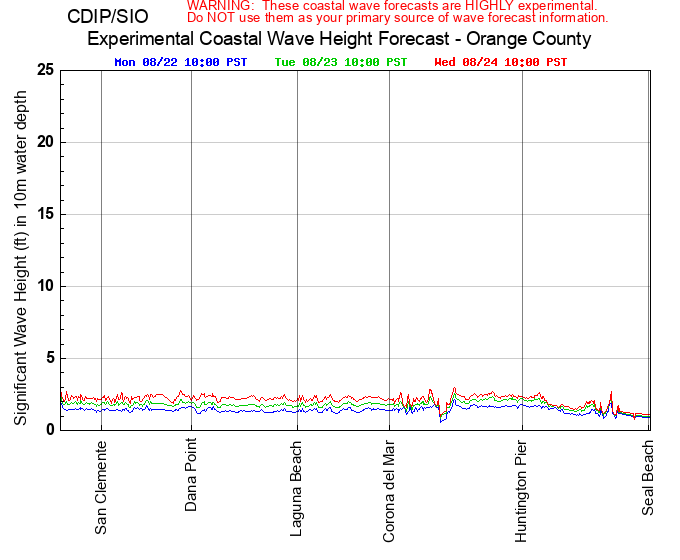 For more information about these forecast products, please see our model description page.